Ce charmant condo est situé dans les contreforts de Tucson. Entièrement mis à jour, cuisine avec des appareils en acier inoxydable, salle familiale avec foyer au bois, et grande salle TV Famille d'écran a une vue imprenable sur les Verts. Avec lit king size, baignoire / douche, carrelage entoure et plus grand lavabo, Deuxième salle de bains avec douche de plain-pied et plus grand lavabo. Près des restaurants, épicerie, les zones de randonnée, vélo, golf plaisir. piscine chauffée / spa pour votre plaisir venez vous détendre ou exercer ce domaine est le plus grand. Les salles de bains aménagées sont un délice avec une plus grande zone de l'évier et du comptoir de Corian. This condo is spacious and well equipped. The three bedrooms will suit up to six guests comfortably. The kitchen has everything one would need to cook meals, and the two TV's allow guests to watch different shows. There is no reason someone should stay in two or three hotel rooms, when they have this condo. Nearby are many restaurants, including El Charo, a grocery, a pharmacy, and Sabino Canyon hiking trails. The owner has several properties, and I expect that any would be wonderful. All you need to do is unpack, and enjoy your stay. We had two minor questions, but they were answered quickly to our satisfaction. We enjoyed afternoons in the nearby pool, and evenings on the balcony overlooking the golf course. We liked it so well, that we have booked it for next year. Any complaints that have been made are too picky - on our trip here and home, we stayed in ten different hotels, and only one (built six months ago) was better than this condo. Very quiet, comfortable condo in a great location. The unit is beautifully furnished and nicely decorated. It even had extras we didn’t expect like laundry soap and basic spices in the kitchen. The beds were very comfortable. Our only disappointment was that January weather wasn’t warm enough to sit on the private balcony. It was a short walk to to the heated pool , hot tub and well equipped exercise room where we met many other snowbirds. The location was a short drive from Sabino Canyon and other great hiking spots. It felt like we were in the country even though restaurants and groceries were within a 5 minute drive. Also, let renters k ow the light switch on wall turns on internet. Towels smelt Terrible. Very nice condo was well suited to our family of 5. Very nicely laid out. Lacking in a few amenities that we typically see in rentals (dish soap, kleenex, etc.) but that was easily remedied. 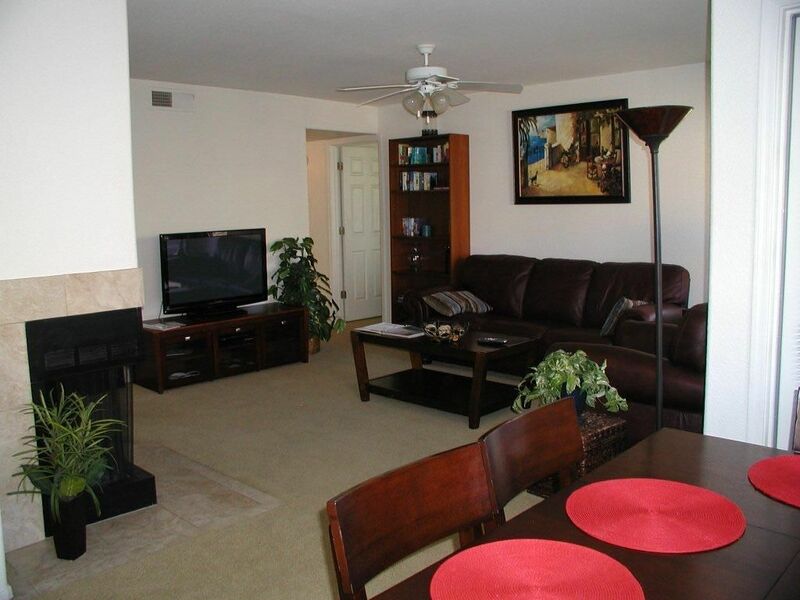 Super close and convenient to grocery store (Basha's) and various restaurants. We had trouble with internet which owner helped us fix but then lost it again the last couple of days (didn't bother recalling for help) which is typical of our Comcast experience. Grounds of complex were very nicely maintained. Overall a good experience and would recommend the property. We had a great stay our first night we had to hunt for a pool and jacuzzi that was in service but we found one! We had no other issues really it was a nice relaxing visit!